Began Apr. 12, 1865; ceased in 1882. Description based on: Vol. 1, no. 2 (Apr. 19, 1865). Merged with: Plattsmouth enterprise, to form: Plattsmouth weekly herald. Other ed. 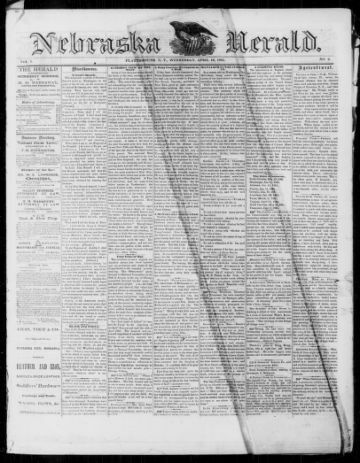 : Daily Nebraska herald, June 24-Nov. 27, 1872.